Many cartridge models can be vacuumed powerful from nozzle with functional chromium cartridge apparatus. Single color can be vacuumed from nozzle thanks to hand vacuum. 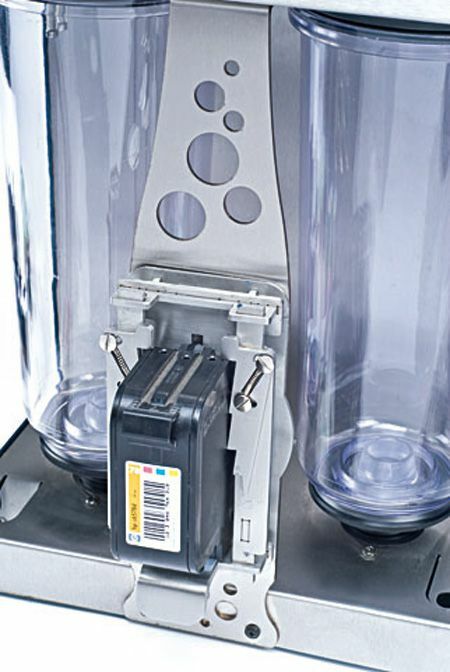 Different cartridges can be vacuumed with any cartridge apparatus thanks to hand vacuum. Instantly starts vacuuming with ready to use tube so no need to centrifuge system. Color cartridges can be balanced with vacuum. Waste ink can be seen in side the vacuum tube. Warning signal when vacuum tube filled with waste ink. Vacuum of cartridge can be followed with vacuum gauge. Easy to use and clear keypad. Vacuum tube can be installed and uninstall easily. Cartridges don’t mix colors while filling in vacuum chamber, thanks to chromium apparatus which is suitable many cartridges. 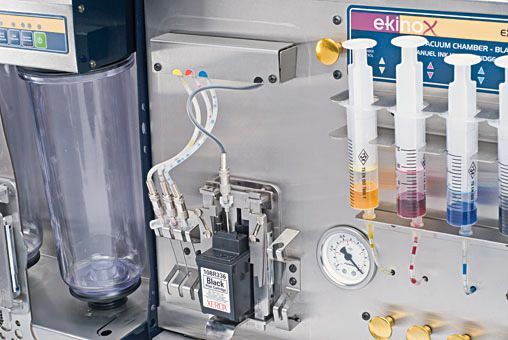 All black and color cartridges with felt can be filled with vacuum chamber. Ink volumes can be adjusted by seeing. Vacuum level adjusted automatically and seen with vacuum gauge. Useful and strong ink valves. 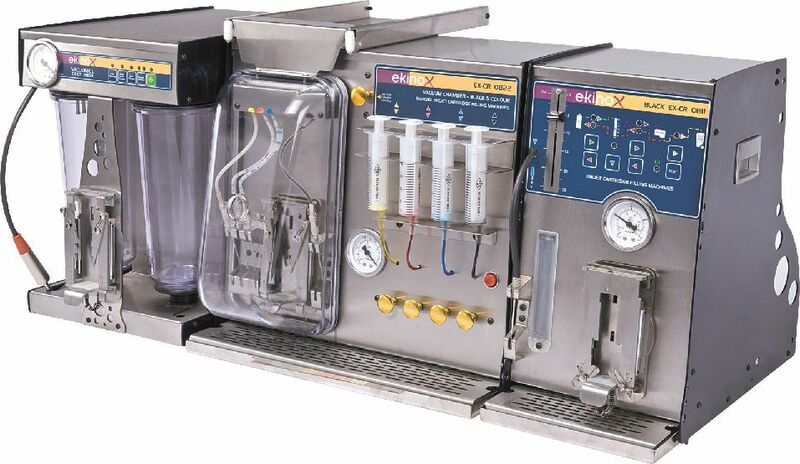 Many black cartridge models can be filled from nozzle thanks to special and functional chromium apparatus. 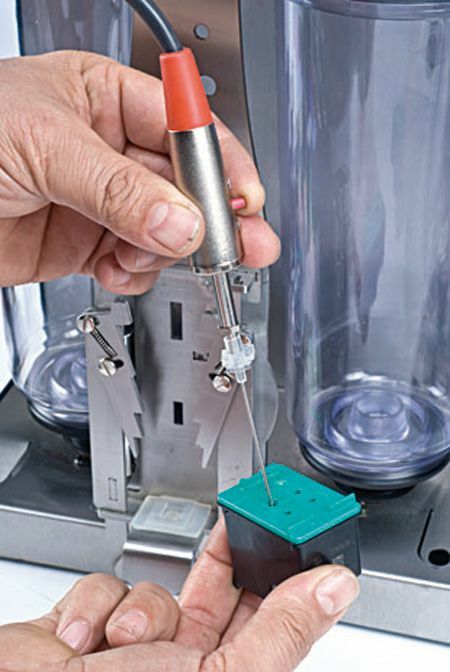 Clogged cartridges can be seen thanks to pressure gauge. Cartridges that filled with chromium apparatus can be filled perfectly thanks to volume adjustment bar which is first on the world. For clogged cartridges speed reduced and filling repeated thanks to automatic speed controlled pumps while filling with chromium apparatus. 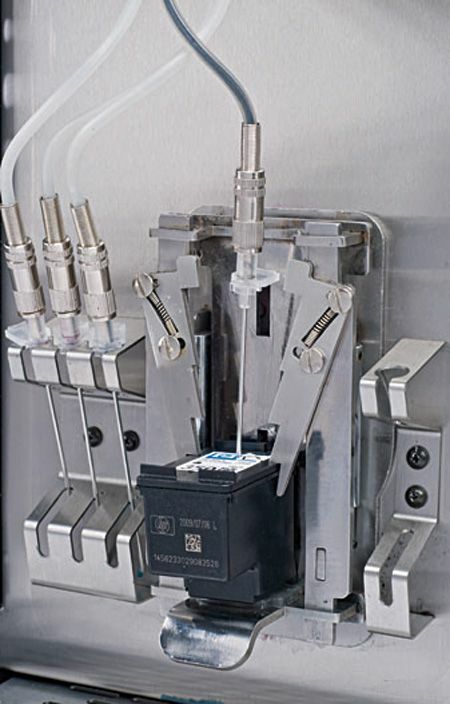 Ink in the cartridge can be emptied to waste or clean ink tank. Black cartridges with felt, which are can not be filled with apparatus, are can be filled with special sensitive needle. With keypad counter can be followed or device can be adjusted. Easy to use with colorful buttons and path on the panel. Warning signal when ink finished in the tank.